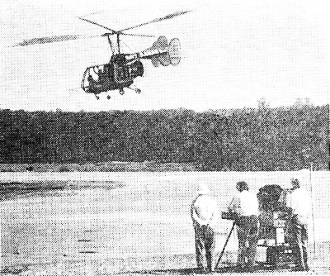 This angled, twin rotor, no-tail-rotor (NOTAR) configuration for a remotely controlled helicopter was pioneered by Kaman Aircraft Corporation in the 1950s, and is still a unique part of their product lineup today. Per their website, "The Unmanned Aerial Truck (UAT) continues a Kaman tradition of pioneering unmanned helicopters. In 1957, Charles Kaman, founder of Kaman Corporation, created the first pilotless aircraft." 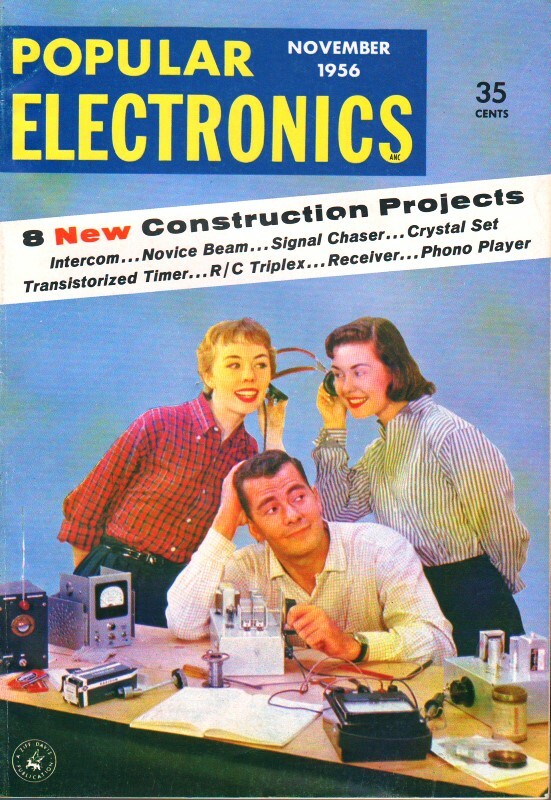 The embedded video below is a 1957 edition of the "You Asked for It" television show, where host Jack Smith reported on a demonstration of the craft. It is amazingly stable and easy to fly, by a pilot in the cockpit, from a ground-based remote control station, or from a remote control unit located in another airborne helicopter. As you will see, this probably qualifies as the first practical first-person-view (FPV) remote controlled aircraft. Flown aloft by a technician operating a radio-control setup from the ground is the "robot" helicopter above. The ground controller is not a pilot himself; ease of control makes the robot capable of being "flown" by anyone. Inside the helicopter, in addition to the R/C equipment, are facilities for taking still pictures as well as TV pictures and transmitting them to ground observers. In addition, the robot can lay communications lines, fly a "memory" course fed into a ground control station, and respond to commands transmitted from an airborne control station in a second helicopter. Developed by The Kaman Aircraft Corporation, Bloomfield, Connecticut, the robot is shown in the above photo being demonstrated to U. S. Department of Defense officials at Fort Belvoir, Virginia. "You Asked for It" television show demonstrates Kaman remotely piloted helicopter.